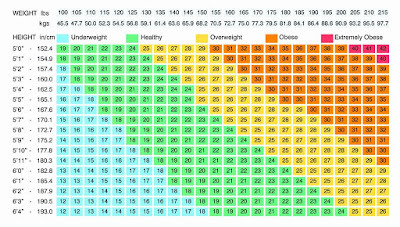 BMI isn't always the best way of measuring whether you are at a healthy weight or not. It only takes your height and weight into account. There are no other factors that are taken into account when using BMI. There are so many other factors that go into whether someone is a healthy weight, overweight or obese, such as age, gender, body fat percentage, etc. According to this chart, a 5'10 215 bodybuilder who has a body fat percentage of maybe 10-15% is obese. That doesn't make sense. So take the score you get on the BMI scale with a grain of salt. I am currently considered obese on this scale but my body fat percentage is completely normal. 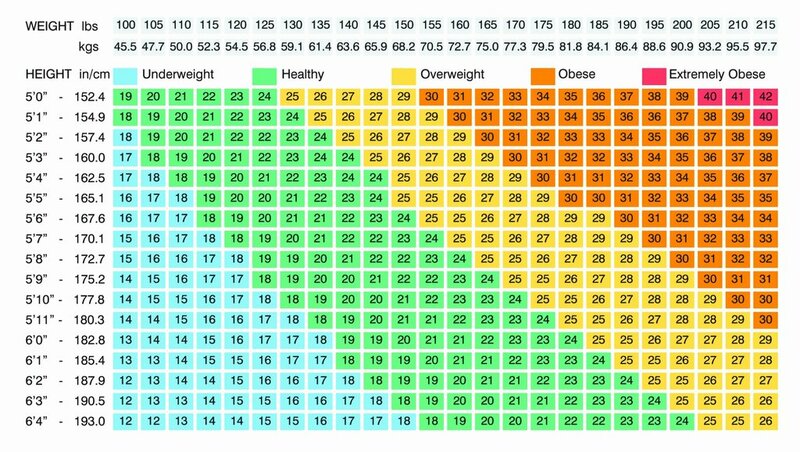 Don't put all of your faith in the BMI scale because it is not always accurate. Veganism is a diet that many people have used and been successful with when it comes to weight loss. We are going to be exploring Veganism from an unbiased view. Once again, I am not telling you whether you should go vegan or not. I am simply sharing the facts about this diet. Veganism is based around the idea of avoiding not only meat but any sort of animal product whatsoever. I would like to distinguish the difference between a vegetarian and a vegan. 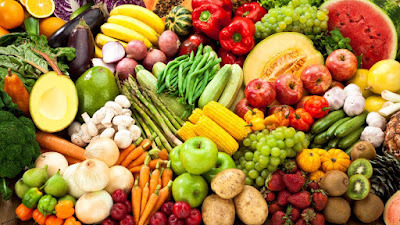 A vegetarian is someone who avoids meat but a vegan avoids not only meat but dairy, cheese and basically anything that is produced from an animal. The reasons for going on this diet range from health reasons, to financial reason, environmental reasons and also moral reasons. Those who go on a vegan diet may believe it is morally wrong to eat meat or animal products and therefore avoid them completely. Now do I have experience with veganism, no I do not. I have never been on a vegan diet before but I am very fascinated by the vegan diet as it seems to have become a trend that many people are following. Let's look at the pros and cons of veganism. The first pro of going vegan is that you will be helping the environment. According to the University of British Columbia, "Modern agriculture is now the number one contributor to a variety of factors that impose hazards to the environment, including and not limited to, an increase in rates of methane and CO2, overconsumption of water, overuse of land resources, waste production, water and air quality degradation, deforestation, and species extinction(1)." Not to mention the fact that the meat industry contributes to 18% of all greenhouse gases(1). There is also evidence that vegetarianism and veganism are highly effective for weight loss. 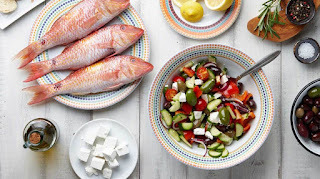 "In 2006, after reviewing data from 87 published studies, authors Berkow and Barnard13 reported in Nutrition Reviews that a vegan or vegetarian diet is highly effective for weight loss. They also found that vegetarian populations have lower rates of heart disease, high blood pressure, diabetes, and obesity(2)." They have even linked vegan and vegetarian diets with a lower risk of mortality(2). The moral and ethical benefits of going vegan are the fact that you are not contributing to animal cruelty in the meat industry. "Though no less capable of suffering than their domestic and wild counterparts, animals raised for meat, eggs, and milk in the United States have long been denied any meaningful protection while enduring the most egregious forms of mistreatment at all stages of their lives(3)." There are many issues with factory farming in the meat industry. Cows and Chickens are stuck in cages where they can't move and aren't very free. That is cruel and morally wrong. So by going vegan, you are choosing to boycott an industry that has been known to be ethically questionable. The one con of veganism is the fact that by not consuming meat you missing certain nutrients that your body needs to function. "Micronutrients of special concern for the vegan include vitamins B-12 and D, calcium, and long-chain n-3 (omega-3) fatty acids. Unless vegans regularly consume foods that are fortified with these nutrients, appropriate supplements should be consumed. In some cases, iron and zinc status of vegans may also be of concern because of the limited bioavailability of these minerals(4)." Luckily, as the last quote states, you can easily get these nutrients through supplements and other foods. You just need to really make sure that you are getting all these nutrients that you are missing from meat so do your research on this before starting this diet. The next one specifically applies to those who are going on a vegan diet specifically for weight loss, it is hard to sustain. You have to be very motivated to cut out all animal products. Another con of veganism is the lack of research around the subject matter. "Although preliminary data are valuable, more scientific studies on vegans are needed to get a clearer picture of their health status(4)." Hopefully, there will be more research on the subject of veganism and vegetarianism in the future because of the health benefits and many other benefits that come from being vegan are great! Overall, veganism has a lot of benefits not only to your health but to the environment and also by fighting animal cruelty in the meat industry. The main cons are related to the lack on micro-nutrients you find in meat, which can easily be supplemented for, the amount of discipline it requires to be on a vegan diet for weight loss, and also the lack of research behind the subject. This is a new series I am starting on this blog about reviews of different diets from an unbiased perspective. I am not going to recommend any of these diets, I am just going to get into the facts, information, and science behind these diets so you could make an informed decision about which diet you want to go on. 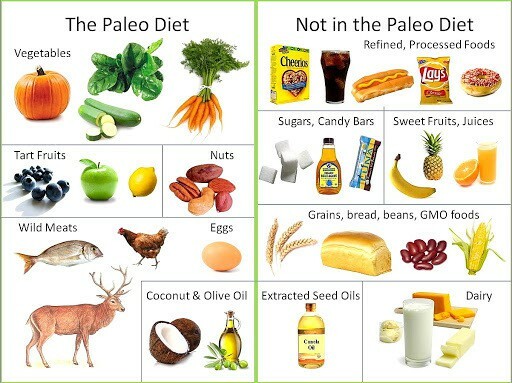 The first diet that I will be reviewing is the Keto Diet. I personally have used this diet and was very successful with it. In fact, I contribute most of the weight loss to this diet. I am not saying it will work for everyone though as everyone's own experience with weight loss is different. 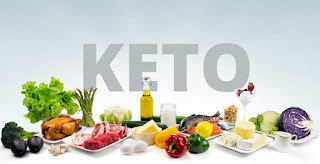 The Ketogenic diet is a diet that is heavily restrictive of carbs and sugars(specifically carbs). The diet is based around getting your body into a state called Ketosis. This is when your body doesn't have enough carbohydrates to burn so it starts burning fat. This allows your body to burn a lot of fat at a very fast rate. The amount of carbs that you need to eat for your body to be in Ketosis ranges from 20 to 50 grams of carbs a day. The Pros of the ketogenic diet are the fact that you will see results very fast. I am speaking from personal experience as when I started Keto in October of 2017, I was 280. I got down to 235 in January of 2018 and then 225 in February of that same year. So it is very fast and sudden which will lower the amount of stress and frustration that you will feel while on this diet. There is also no doubt that the ketogenic diet is effective when it comes to weight loss. Antonio Paoli from the International Journal of Environmental Research and Public Health wrote in his article, "There is no doubt that there is strong supportive evidence that the use of ketogenic diets in weight loss therapy is effective(1)." There is also evidence that the Ketogenic diet helps people with epilepsy, diabetes, cancer, Neurological diseases, and even acne(2). Not to mention Cardiovascular risks decrease(2). So there are a lot of health benefits to Keto and there is strong evidence that it is an effective treatment for weight loss. From personal experience, I also found that I wasn't as hungry as I used to and I was satisfied by eating fewer calories. The first con that I will mention is that it is very hard to maintain long-term. It is also very hard to stay on. Imagine not allowing to eat bread throughout the entire day, or rice, or noodles. Or anything that has more than 20 grams of carbs in it. That will be difficult to sustain. There is also a problem with binging that I personally experienced when I went on Keto. I found that once I started eating carbs, I ate a lot of carbs and binged on them. This is especially true when it comes to Pizza because it is my favorite food. Another con is the Keto flu which happens for a few days after you cut down on your carbs and go into ketosis. You will feel physical symptoms such as headaches, fatigue, Nausea(you won't vomit though, etc. The Keto flu can be quite uncomfortable. Not to mention the fact that this diet is not very flexible so you don't have a lot of variety in the things that you can eat. Keto is very effective for weight loss and has many other health benefits. It is unfortunately very restrictive, very hard to sustain, has a potential rebound effect, and the Keto flu can be quite uncomfortable. I will not say whether you should or shouldn't go on this diet. You have to decide whether the pros outweigh the cons when it comes to Keto.